I recently purchased a 2006 Honda CBR600RR as my first ‘Big Bike’ (I’ve been riding a 125 Honda Varadero for about 1.5 years up until now). There is a bit of a story behind the fairings on the bike currently. It was originally blue, but the bike was sideswiped by a van during a commute, which led the previous owner to repaint them in white in order to be more visible (I presume they were also scratched/damaged due to the side swipe). They are the OEM fairings, which I have now confirmed when I removed the fairings to clean up the exhaust system. I decided to use this as a marketing ploy for my business. I may not be sponsored by Red Bull, but I can happily give permission to market my business on the fairings! I wanted to keep the white as a base colour, but just sent him the vector image for the logo and let him work his magic on the rest. There were a few small changes, but overall this was his first draft for the most part. So, I sent an email out to maybe 5 different companies. I had searched this forum for some recommendations, but primarily went with a gut instinct based upon their communication with me. In the end, I decided to go with Monster Fairings. Partially swayed by the fact I’m a CycleCruza subscriber, and he vouches for them. So, I sent over the mock-up image, as well as the font files and vector files, and as of today, the fairings are in production! According to the communication I’ve received, it should be around 14 days until I receive an update with some pre-clear coat pictures, which I will need to confirm before the clear coat is applied. Overall, my plan is to blog the whole process on this post, including how easy they are to install on the bike once they arrive (this is what I’m most nervous about). I’ll take plenty of photos along the way for you. I will also be making various other modifications to the bike along the way, which I will document as and when they are decided. Looking for my first big bike! Help! 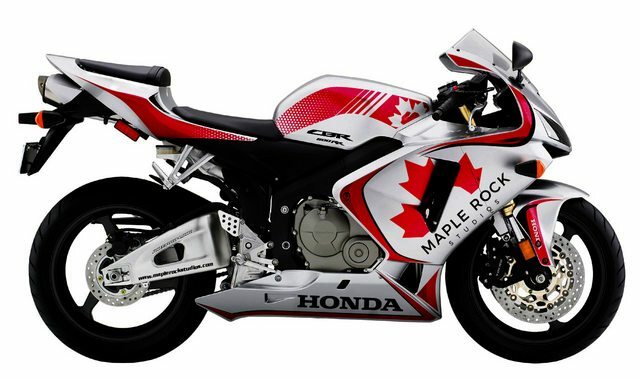 That's a great idea, and the fairing design looks suitably sporty without looking too "race bike". I hope it all works out as expected! NEW UPDATE! Got the fairing photos! So, it took slightly longer than the claimed 14 working days. However, I cannot complain at all after seeing the final result. They're currently being prepped for packaging to be sent out to me in the UK. Excited to get these on the bike now. Let me know what you guys think! I really like your design. And how you decided to do it, I think it's absolutely brilliant. Those fairing turned out perfect! Can't wait to see them on the bike! So I'm guessing these are aftermarket fairings too, or did they use OEM fairings? They are the OEM fairings. The bike originally had blue fairings, got side swiped, owner painted them all white. This is when ArcticPanda got the bike. 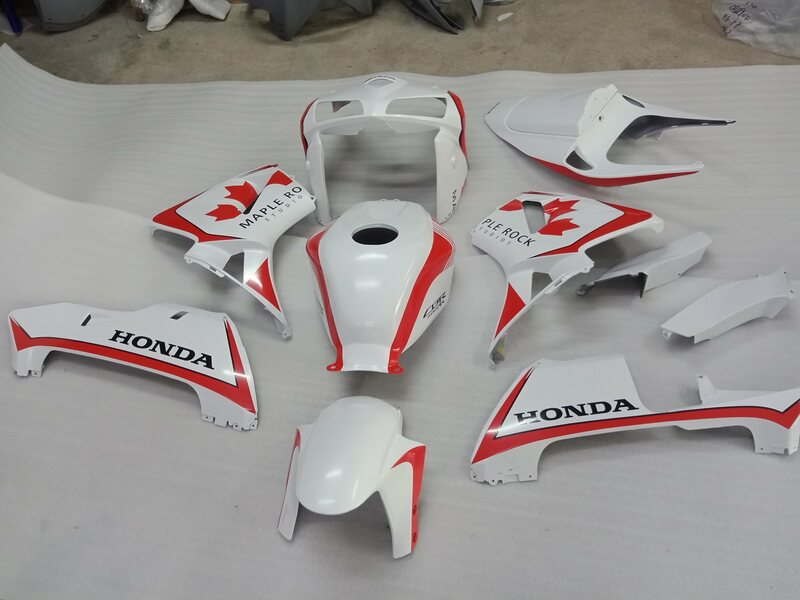 Went shopping for more fairings but then decided he didn't want his bike to look like everyone else's, so he sent them off to get this sick paint job! I know the backstory, I was trying to work if these were Monsterfairing's own fairings that they paint, or if he sent them his own OEM fairings. 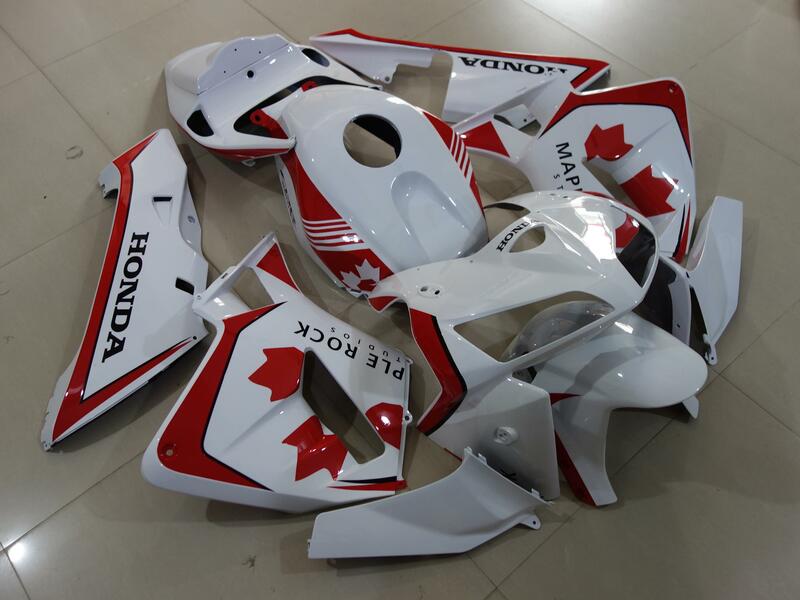 As he said they are being shipped to him in the UK, so wasn't sure if he sent them his own OEM fairings first. Guess it's probably cheaper to ship them your own rather than pay for a full aftermarket set. They're a new aftermarket set which have been painted. So they're MonsterFairings' own fairings. I'll be sure to give a review of the quality once they arrive. Just awaiting a tracking number now! Fairings have arrived today! Going to get them opened up when I get home from work, and I'll let you all know the quality.